We have small and large format offset printing presses that can handle anything from a business card to a six-color poster or a folding carton. 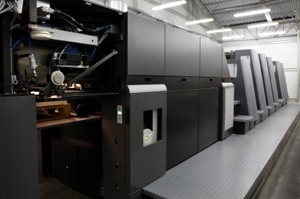 Our digital printing press is very cost effective for small quantities and has variable data capabilities for personalized printing. We would welcome the opportunity to show you samples of our work.